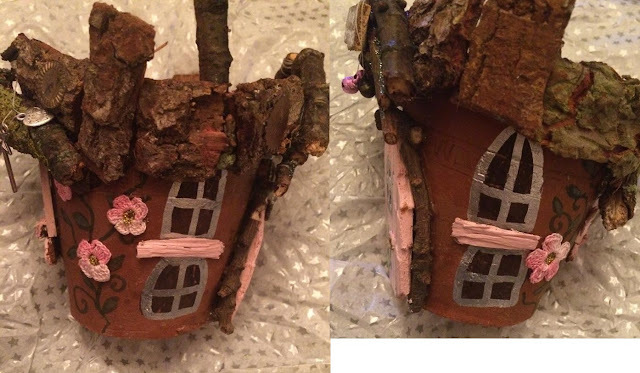 Helen's shop, Pixie Pot Palace had me incredibly intrigued as she uses repurposed materials to make something new and beautiful. Eco-friendliness is important to me, you will notice a few posts on here which feature items made using repurposed materials. 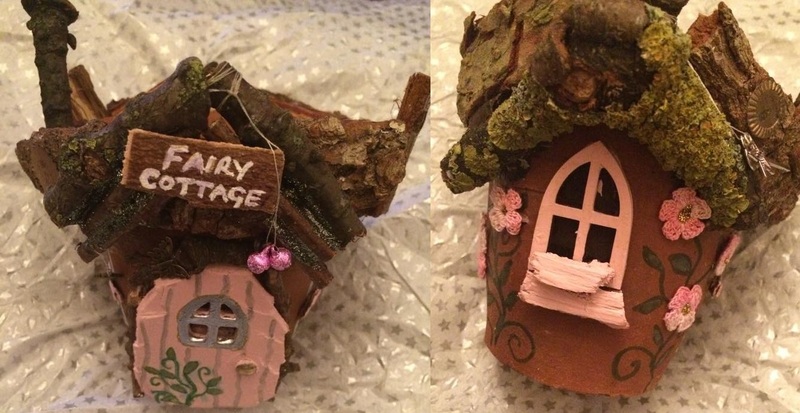 Pixie Pot Palace sells amazingly gorgeous little fairy houses made from vintage terracotta pots. My pot was customised to my requirements as I wanted it pink themed and Helen gave me the option to choose the wording for the little sign above the door. I am in love with this piece! I literally sat for about 30 minutes just running my fingers over it and looking at all the little details. It really is gorgeous. I will probably be keeping my pot inside as I want it to stay perfect but you can keep it outside in the garden as it has been somewhat weatherproofed. Obviously expect some normal wear and tear to your pot though. I urge you to visit Pixie Pot Palace. I am thrilled with everything about my pot and I'm sure that you guys will be. It has such a magical feel about it - I can't stop smiling when I look at it!